1769-BA for Allen Bradley CompactLogix and other controllers. Height: 26 mm. Diameter: 14 mm. Replaces: Battery 1769-BA for ALLEN BRADLEY CompactLogix series controllers. 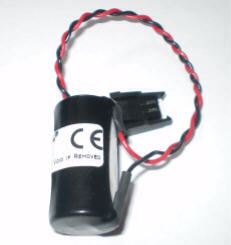 The 1769-BA battery is the only battery you can use with the 1769-L32C and 1769-L35CR controllers. The 1747-BA battery is not compatible with the 1769-L32C and 1769-L35CR controllers and may cause problems. This Allen Bradley 1769-BA PLC battery comes with a one year manufacturer's warranty.